Online booking was a big priority for Lyndsey Garza when she researched different options for her vacation rental software. No one should underestimate the strength and perseverance of Lyndsey Garza of Pointe West Properties. In early 2012, Lyndsey and her husband, Marco, saw an opportunity for a new business, and bet big on starting a vacation rental company. At the time, both were unemployed, after their employer went bankrupt. So, failure was simply not an option. Very soon, though, their investment paid off, as the business leapt out to an amazing start. In just six months, they grew from 8 properties to more than 30. And, they were starting to make a name for themselves in Galveston’s competitive vacation rental industry. But in November 2012, the unthinkable happened. Lyndsey lost her husband and business partner to a tragic car accident. After such a shock, people in the area doubted Lyndsey’s business would survive. They didn’t think a single mother of three would be able to deal with the grief and run a young business in a demanding industry, especially without her business partner. But, Lyndsey pushed through, driven to keep alive the business she founded with her husband. And, today Lyndsey and Pointe West Properties have emerged from these enormous challenges as an extremely successful business. So far this year, the company’s gross rental revenue has increased 59 percent. Their overall revenue is up 29 percent. And they’ve seen a 37 percent increase in occupancy. So how did Lyndsey do it? Well, ask her and she’ll say a number of things came together to help make her business successful. And in the following profile, we’ll examine Pointe West Properties’ rise from underdog to contender. 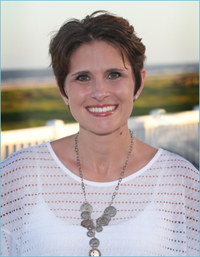 Like Lyndsey, the island of Galveston, TX, where Pointe West Properties operates, has overcome its own fair share of challenges and has emerged more successful. In 2008, Hurricane Ike devastated the island. But, Galveston has since come back stronger than ever. 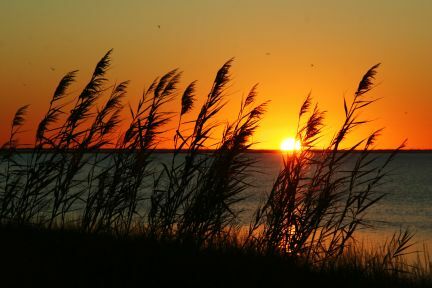 Sunsets on Galveston Island are as beautiful as you'll find anywhere in the world. Hurricane Ike also coincided with the beginning of the Great Recession, and Lyndsey believes both events have affected the travel habits of Texans. After its recovery from Hurricane Ike, Galveston has become a more attractive destination for vacationers. And, because it’s only a 45-minute drive away from Houston, it’s an attractive alternative to long-distance trips that require a lot of driving or buying plane tickets. “People started turning toward something closer to home,” said Lyndsey, who gets about 70 percent of her guests from Houston. Noticing this trend, Lyndsey started offering lower minimum stays, so she wasn’t alienating guests that just wanted to get away for the weekend. “That’s been a success for us,” she said. Garza and her team manage properties on the southwest side of the island in a resort area known as Pointe West. 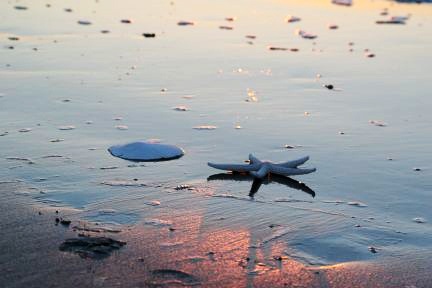 Pointe West offers 3 miles of amazing private beaches. 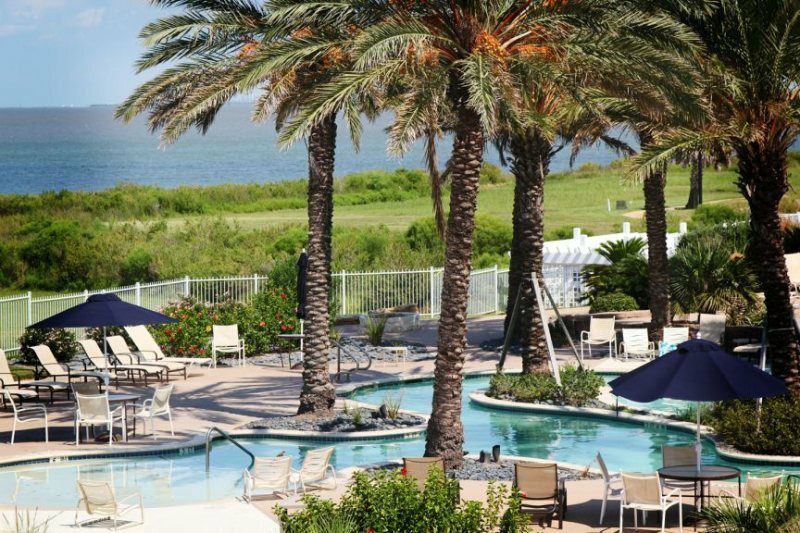 Pointe West is located about 25 minutes south of the hustle and bustle that is Galveston proper, giving guests the opportunity to really get away while still having the option to visit town. Guests that stay with Lyndsey have access to three different facilities that feature amenities like swimming pools, hot tubs, restaurants and bars, gyms and more. More importantly, guests have access to 3 miles of amazing private beaches that are regularly cleaned and combed by the resort. Speaking of the beach, one of the main selling points about staying with Pointe West Properties is that they offer condos that are truly on the beach. Some companies will advertise beachside properties that are actually on the seawall, where you don’t have direct access to the beach. 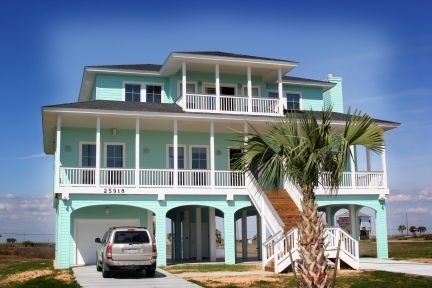 You'll find plenty of amazing vacation homes and condos among Pointe West Properties' inventory. At Pointe West, you’re right on the beach. And for less than the price of many hotels, you can get a luxury condo from Pointe West Properties that ranges in size from 1,000 to 1,700 square feet on a single level. 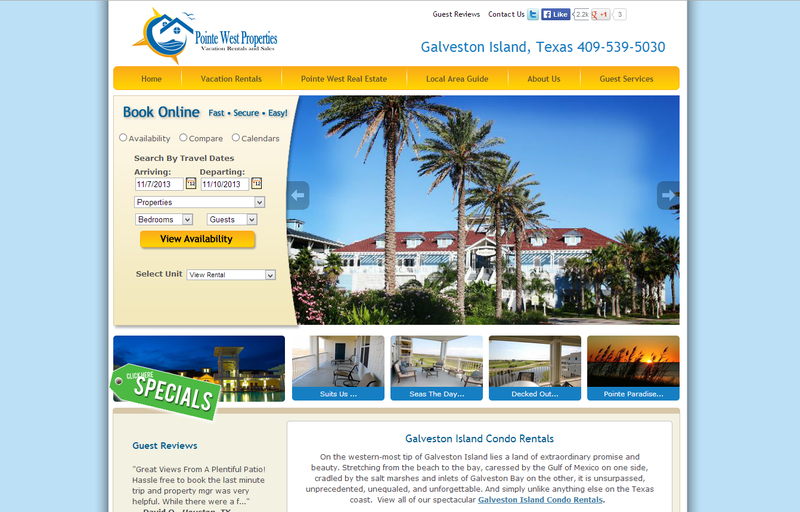 In all, Pointe West Properties manages more than 30 Galveston vacation condos and homes. These homes are either on the Gulf Coast side of the island or the Galveston Bay side. But, according to Lyndsey, at the narrow southern end of the island, where most of their properties are located, you’ll likely have views of both bodies of water. Lyndsey is what the locals call an “IBC” or “Islander by Choice,” meaning she’s chosen to make Galveston Island her home – in Lyndsey’s case, she lived there for 13 years. Guests that stay with Pointe West Properties have access to three different facilities that feature amenities like swimming pools, hot tubs, restaurants and bars, gyms and more. Lyndsey uses her local knowledge to great effect in helping guests plan their vacations. You see, guests don’t just come to Pointe West Properties for a great value on accommodations, they also come to learn from local experts how to have an amazing and truly authentic experience. Lyndsey and her team combined their local knowledge with a host of concierge services to really help create a full experience for guests. They’ve also partnered with many local vendors to give their guests deals for shopping local. This hands-on approach has allowed the company to really create lasting relationships with its guests. And the payoff has been an ever increasing amount of return business. When Lyndsey and her husband first started their business, they knew they needed a strong web presence. And, after researching a number of technology companies in the industry, they decided on LiveRez. 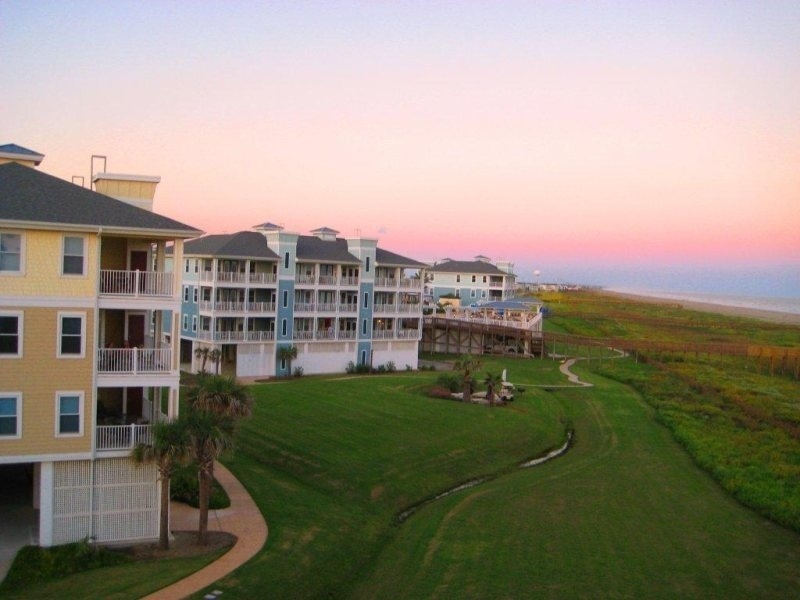 Pointe West Properties offers a host of vacation condos with incredible views. Part of the initial challenge was that Lyndsey needed a website as soon as possible. It simply had to be live before spring break hit. Lyndsey just didn’t want any website; she wanted – she needed – the best she could find. And, one of her major needs was a website that allowed online bookings, something she knew would provide a huge competitive advantage on the island. Lyndsey’s other initial concern was the cost. When she started, they didn’t have a huge budget, so they needed a software that could grow with them. And, LiveRez’s partnership business model was a perfect fit. After overcoming so much, Lyndsey is excited about where her business is now and where it’s heading. As she heads into her third year in business, Lyndsey has big plans. The hard work of her and her team is really paying off. Bookings are up. Nights stayed is up. And, more owners are entering Pointe West Properties’ rental program. So, Lyndsey sees big opportunities for growth. Perhaps the most rewarding part of all that Lyndsey has had to overcome is that Pointe West Properties is becoming the company that she and her husband had dreamed about.